Happy Saturday and Happy Birthday to my lovely mum! We really tried to make it home this year but unfortunately it just wasn’t to be so we hope you are having the best birthday! 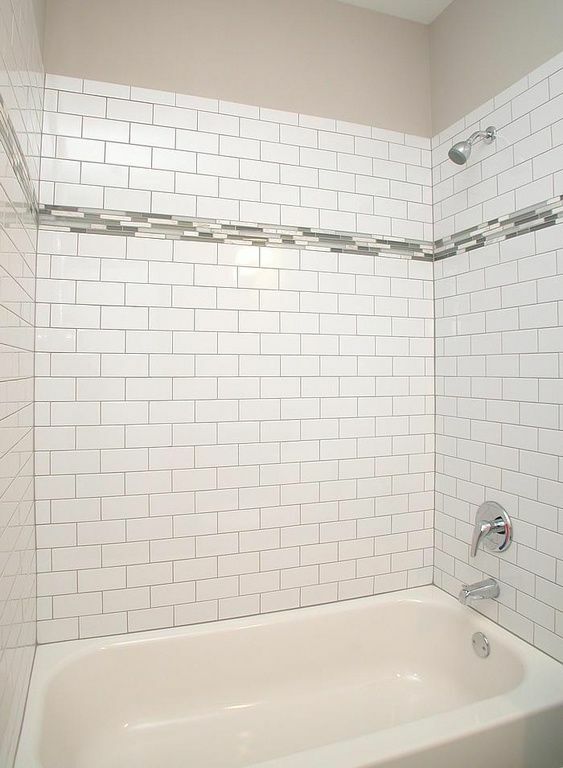 Despite the disappointment that we were not able to make it back to England, we are super excited because my father-in-law is replacing our weird space-pod tub with a beautiful new tub and subway tile surround. 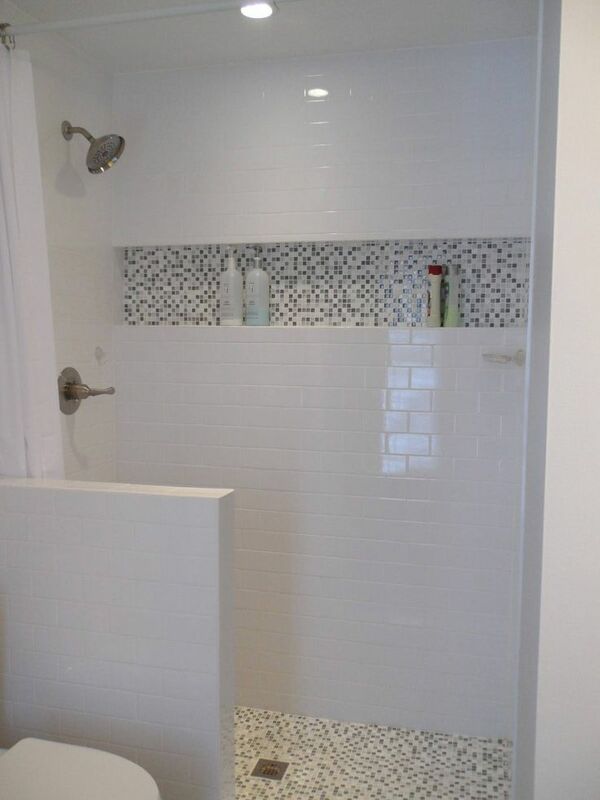 We are using the mosaic glass tiles which we used for our vanity back-splash as an accent strip and in the cut out for shower products. Let us know what you think and we will post a completed photo as soon as it’s all done! I really like this…. love the idea of the cut out shelf.